Prernamurti Bharti Shriji has given us the significant way of celebrating birthday in a divine nature oriented way so that one can brighten the future..
We generally celebrate birthday by lighting the candles, blowing them off, cutting the cake. This is the usual trend followed everywhere now-a-days.But are we aware of the reason behind doing this? On any of the holy occasions like taking darshan of a deity in temple, doing yajna during Vastu Pooja of home, on Diwali; candles and diyas are lighted because these are auspicious occasions. Then is Birthday in auspicious that we blow off candles on this event? Birthday is an auspicious occasion, a fortunate day; so on this day candles should not be blown off but lighted up. Lighting up candles helps to maintain good health.When one blows off candles on the cake with his mouth, the cake becomes ort. Doctors say that even if one drinks a sip of water in a glass just once, germs and bacteria are formed in that corner of glass which comes in contact with the lips.Similarly, when candles over a cake are blown off, germs are formed on the cake.Candle which is lit on birthday, represents sun. But when the same candle is blown off, it represents darkness. Then why not celebrate birthday in a better way by lighting candles and then cutting the cake? On ones birthday, one should get up early in the morning and prostrate before his parents, spiritual masters by touching their feet. With their blessings, ones future becomes bright and he becomes successful. The human body survives due to 5 elements– earth, water, fire,wind, space.These five elements are must for our body.All these 5 elements have their own colors. So when diyas made up of these colors are lit, if there is any deficiency of any of these 5 elements in body, it gets fulfilled.Secondly, one should be thankful for getting these 5 elements.When one thanks these 5 elements, they give him health, wealth and bright future in the form of blessings. Make diyas of wheat flour of 5 colors–yellow, blue, white, red and green.Put some rose petals around the diyas.Then place 4 diyas in the 4 directions and 5th one in the middle. One can also celebrate in another way. E.g. If one’s age is 20 years, then lit 19 small diyas of different colors and ask any of the elder person in family to lit the 20th biggest diya in the middle. So, in this way, purely divine nature oriented birthday can be celebrated.By celebrating birthday in this manner, one can definitely protect his future. Then why not celebrate birth day in a divine nature oriented way and motivate others too for the same!! The above life inspiring words are the excrepts of spiritual discourses by PRERNAMURTI BHARTI SHRIJI, who is a renowed spiritual leader …an inspiration beyond imagination. 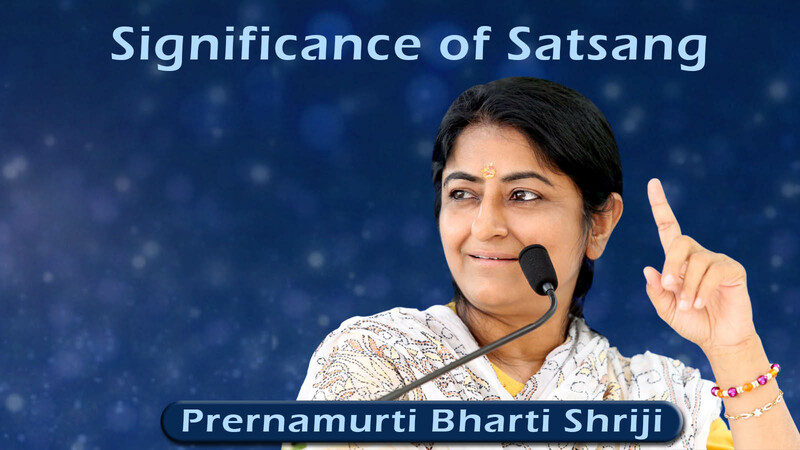 PRERNAMURTI BHARTI SHRIJI has undertaken and always strives best for betterment and upliftment of the mankind through various religious and social activities.click forYoutube channel here.